Fiat Chrysler Automobiles will idle its two Ontario assembly plants for the first week of 2017 in an effort to trim supplies in response to lower demand, Bloomberg News reported. The automaker told the news agency it would halt output at its Windsor and Brampton factories Jan. 3-6, the four days immediately following New Year’s Day holiday, which will be observed Jan. 2 this year because Jan. 1 is on a Sunday. 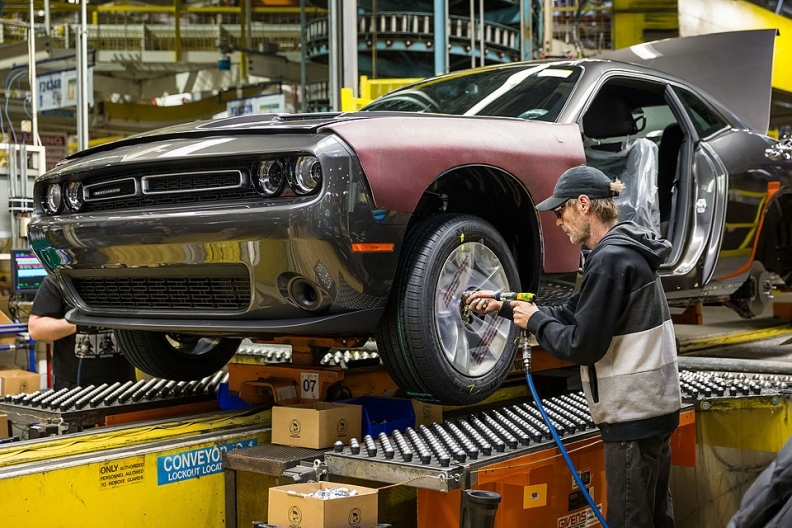 The Chrysler Pacifica and Dodge Grand Caravan are built in Windsor while the Dodge Challenger and Charger and the Chrysler 300 are assembled in Brampton. The moves are to align production with demand, Jodi Tinson, a company spokeswoman, said in an email to Bloomberg. The automaker has already stopped making the Dodge Dart and Chrysler 200 sedans. A Fiat Chrysler factory in Belvidere, Ill., will make its last Jeep Compass and Patriot models by Dec. 23 and retool for Jeep Cherokee production, Tinson said.